Phil Windley asks: "Why do users put up with bad software?" "The problem, according to David, is that programmers design programs for themselves, not for users. 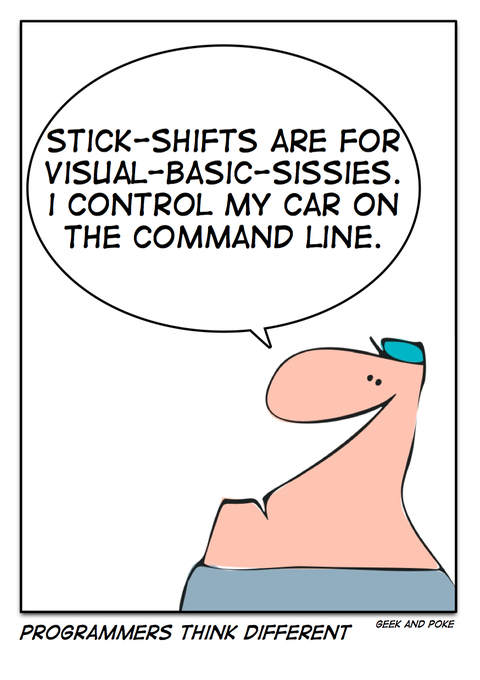 He cites the fact that when he talks to programmers and asks them if they have a stick-shift car, a much larger proportion do when compared with the general population: programmers will trade off convenience for control any day."